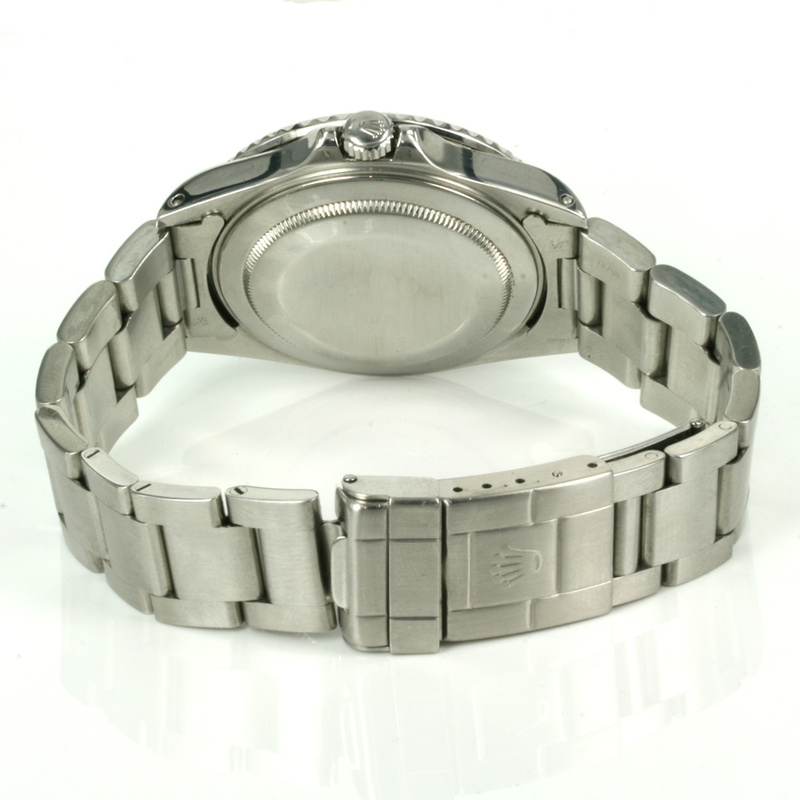 Product code: W427 Categories: Sold Items, Sold Rolex Watches. The Rolex GMT Master has such an iconic look thanks not only to the additional GMT red hand, but when it has the two coloured bezel such as this one, there is no other Rolex watch like it. Designed by Rolex in 1954 for the Pan Am pilots, this particular one was made in 1999 and features the red and black rotating bezel affectionately known as the “Coke” bezel. Fitted in the Rolex Oyster case that measures the traditional 40mm across plus the Rolex screw down crown, this Rolex GMT is fitted with the sapphire crystal for added durability. A great looking watch for any occasion, it is fitted on the Rolex Oyster band which gives the watch a solid sports look great for weekends yet still so easily able to be worn during the day. The difference between the Rolex GMT Master I and the Rolex GMT Master II is that with the GMT Master II you can rotate the hour hand around quicker to set the date more rapidly. The addition of the red GMT hand combined with the red and black bezel go a long way in giving it such a distinct look. Just back from a service, the automatic movement keeps perfect time and comes with our 12 month warranty.